Our first grandchild is Noah who was very graciously given by God. To our family through adoption. It brings tears to my eyes just writing this line and could not express the joy he brings. His parents are our daughter, Anna and her husband, Kevin Ruwersma. They are presently on deputation as missionaries going to England. Noah is traveling all over and just loves handing out their prayer cards. Our next wonderful sweet gift is Laura Grace who also brings more joy than I could describe. Her parents are David and Sarah Booth who are missionaries in Portugal. Laura Grace is learning not only to count in English but in Portuguese as well. Our youngest and newest little one is Samuel David and is the most precious, calm, bundle of joy ever-just smiling at all the world around him. He is brother to Laura Grace and she is a great big sister. We are now anxiously and prayerfully waiting for sweet number four making Noah a big brother! Recently, our ladies Bible study group did a study on the book of Ruth. The entire book of Ruth is such a wonderful love story of Ruth and Boaz and is a tribute to God’s grace and mercy in each one of their lives. Naomi had been through so much pain and sorrow. She had experienced not only the death of her husband but also her two sons. She just wanted to be called Mara for she felt the Lord had dealt bitterly with her; however, in chapter four, Naomi becomes a grandmother! I can just imagine her love for Obed-rocking and singing to him. She must have continually kissed his chubby cheeks and smiled. What a blessing in her life and there are two things mentioned there that are noteworthy for us about being a grandmother. Ruth 4:15-Grandchildren are a restorer of life. Isn’t that true? It makes you feel so young and joyful reliving how it was with your children and at the same time rejoicing in the new gifts He lovingly gives to us. Ruth 4:15-Grandchildren bring nourishment in our old age. Isn’t it so much fun reading books, having tea parties, eating treats, having picnics, singing songs, and most importantly pointing them to Jesus with our words and our lives. It is truly a blessed role being a grandmother! In conclusion, if you are a grandmother or someday will be I would encourage you to cherish every moment. Keep close sweet relationships with each one the Lord gives you. Live out a godly example. Love each one unconditionally. Remember important occasions. Shower them continually with cards, notes and love (I am so grateful for Skype which lets me see our little ones and talk with them often though far away). Finally, most importantly pray earnestly, and continually for each one. For photos of the Grandchildren, please check out the following webpages. 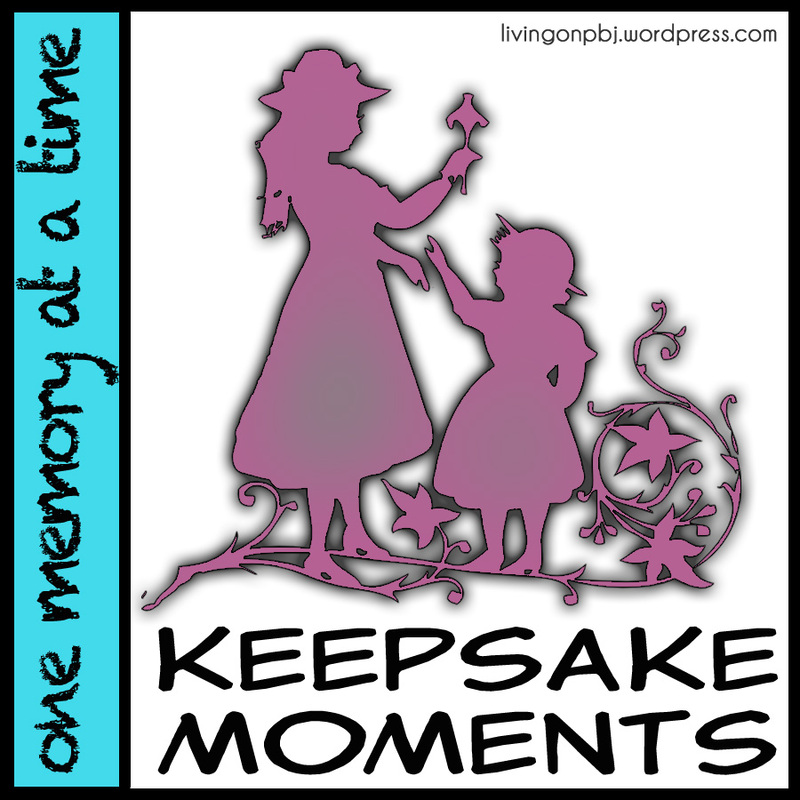 Categories: Sharon, Uncategorized | Tags: grandchildren, grandmother, Naomi, Obed, Ruth | Permalink. We sat in my living room, my grandparents and I. They had stopped by as they returned home from one of their many missions trips. 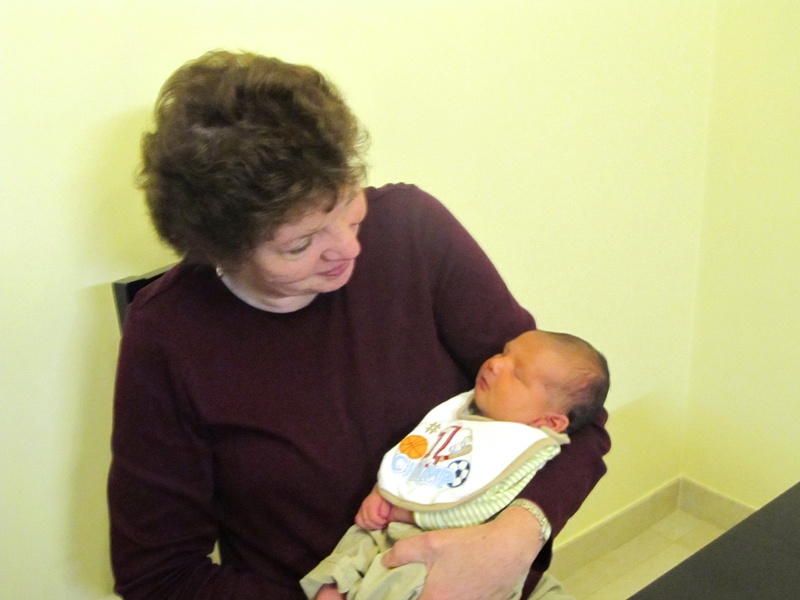 We were chatting, and my sweet grandma brought up a subject she knew was very close to my heart – my desire for a baby. My husband and I had already been married several years, and had no children. She said, “Honey, you know I pray for you and Brian every day.” I knew she did. And then in her gentle way she asked, “Have you considered that perhaps God hasn’t given you children yet because He has something else for you to do?” I shook my head. No, I hadn’t considered that. I said something. I’m not sure what. In my head, I was shouting, “No! I don’t WANT to do something else. I don’t even want to consider that.” Yet in my heart, I knew that perhaps she was right. Her wise words made me stop and think about God’s plan for my life, and the reality that I needed to surrender to it – no matter what it was. I struggled with that for a long time, and truthfully, I don’t think I would have listened to anyone else who may have said that to me. I’m thankful for her wisdom, her insight, her candor, and her compassion. Besides my mother, no woman has influenced me more than my grandmother. When I read about the woman of Proverbs 31, I think of her. Her faithful love for my grandpa, her steadfast faith in God, her quiet spirit, her busy hands – always making something beautiful, something useful – her gentle ways, her wise words, her generous heart, her beautiful countenance all touched my life more profoundly than I can say. From the time I was just a child, I remember her teaching me lessons I am still trying to learn and incorporate into my life. She loved to write, and always encouraged me to share my poems and songs with her, and with others. She lived a life of faith. She shared her faith. She loved the Bible, and her walk with God made me want to walk with Him too. To be honest, my time with my grandma was much too short. 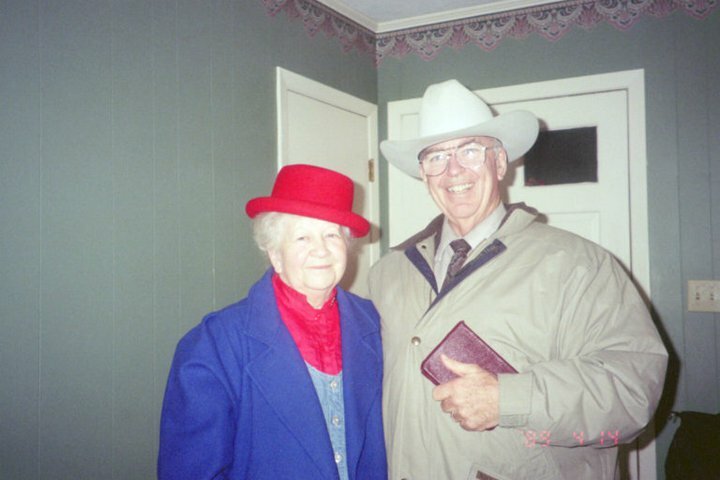 When we were children, my grandparents lived far away, and because they were missionaries, our visits were few and far between. My sister and I did spend a couple weeks with them each summer, and I treasure those memories. They moved closer to us when I was a teenager, and although they traveled a lot, I did get to spend more time with them, and even traveled with them some. And yet, though our time was limited, her influence was great. It’s hard to believe she’s been in heaven for 10 years already. At her 50th wedding anniversary celebration, she made a short “speech” thanking everyone for coming. In typical Grandma Mary fashion, she said with a smile, “I was reading in the Bible about the 50th year, the year of jubilee. It was the year of release. The only thing I can think of I would want to be released from is this old body.” Less than two weeks later, she was with the Lord. She wrote me a poem when I went to college. It was such a help to me then, and still is now! Transplanted can now bloom royal. New life is replenished real quick. To a place where our soul roots stretch out. God can bring great changes about. But the “Gardener’s” wisdom is best. Set your roots in His Word and rest. 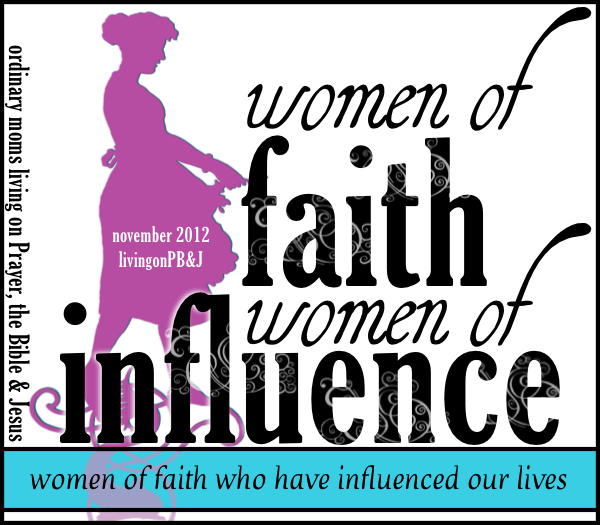 Categories: as a woman, encouragement, life lessons, Niki, series, the moms, Uncategorized, women of faith & influence | Tags: faith, grandmother, influence, woman | Permalink.